Mahjong is a Chinese game that is played with 144 tiles, small rectangular blocks of wood or ivory with a face showing variety of characters and designs. There are total 108 suit tiles (bamboo, circles, and characters), 28 honor titles (winds and dragons), along with 8 flower tiles. Mahjong game is also known with large number of alternate names like Mahjong, Man Chu, Mah Diao, Ma Chong, Mah Chong, Ma Chiao, Mo Tsiah, Ma Chiang, Ma Cheuk, Ma Jong, Pung Chow, Ching Chong, Kong Chow, Mah Deuck, Mah Cheuk, Ma Chiang, Pe Ling, Lung Chan, Mah Lowe, Baak Ling, and more. The game "at least in computer versions", is played in two principal ways: traditional and solitaire. The traditional game needs to be played with four players, whereas solitaire game is played by means of one player. It completely consists of matching tiles from various layouts. Japanese Riichi Competition Mahjong etc. The most celebrated mahjong solitaires for Windows comprise the versions released by Gamehouse: Super Mahjong Solitaire, Shockwave: Mahjong Solitaire, Real Arcade and Big Fish Games, and of course, there are more than enough of other versions available. But no one projected mahjong solitaire on 5 platforms. The game is accessible for free download for Windows, Palm, Pocket, and Mac. Pick the device and download Mahjong game for free. This mahjong game consists of 4 diverse variants of the game, together with some extremely new mahjong style games as well as the classic Chinese version of mahjong. You just need to download the game and prefer the game you like. Read about Free Mahjong Games. 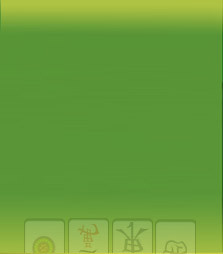 In the Mahjong Shanghai, the participants match tile pairs until all of the tiles are moved out. To be selectable, a tile has got to be at the right or left end of a line in the pyramid of tiles, and must have no other tiles on top of it. Few tiles can be harmonized if they share similar themes, such as diverse flowers of the four seasons. Mahjong Tower is a game where you have to eliminate as many of the tile as possible from the playing board, while following the rule. Tiles are detached by selecting them in pairs that match. They then disappear, revealing other tiles to be removed. Tiles can be detached from horizontal edges to horizontal boundaries or from vertical edges to vertical edges. Play free Mahjong Solitaire in astonishing 3D environments, like Chinese temple environment with torchlight illuminating the playing tiles! 3D Magic Mahjong presents you a typical Mahjong Solitaire tile matching game with vibrant lighting and a tranquil multi-layered soundtrack. The game is extremely easy to learn but hard to stop playing! For any person who has ever played a variation of Mahjong and liked it, you'll adore 3D Magic Mahjong! It is non-violent and fun for all ages. Read.